A request for a variance for a boarding house at 604 E. Fort Wayne St., was denied by Warsaw Board of Zoning. A proposed group home and boarding home in a residential district is not welcomed by 35 residents who signed a petition and at least seven residents who voiced objection at Monday evening’s Warsaw Board of Zoning Appeals meeting. Listening to the residents, the board denied the request. 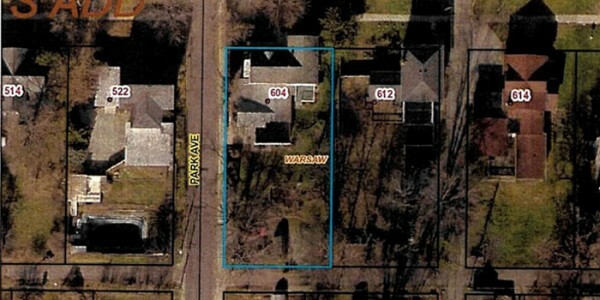 John Kidd, a member of the board of directors for Serenity House, petitioned the board for a use variance to allow a boarding house in a R-2 Residential zoning area, at 604 E. Fort Wayne Street. Serenity House provides paid housing for recovering substance abusers. The city’s planning office recommended the board deny the variance as it did not meet all five of the criteria to satisfy the request. While Serenity House is a good community member, the use and value of the area would be negatively affected — increased traffic and parking needs, increase in density not compatible with the neighborhood, and single family homes nearby could see a noticeable decrease in property value. It was also noted the home had no peculiar conditions necessitating a variance and no hardship in the continued use of the property as a home. The comprehensive plan identified the area as an urban residential neighborhood. The residential aspects and commercial qualities conflict with the goals of the area. Comments in favor and opposed were heard for nearly an hour, before board members held their own discussion and a vote was taken. Mary Jo Coppes, current owner of the home; John Kidd, Duane Huffer and Hoss Smith, Serenity House, all spoke in favor of the request. Coppes stated the home is high maintenance and she has been unable to sell the home until now. She stated Serenity House, which operates a facility at 622 E. Fort Wayne St., has been a good neighbor and would maintain the property. If she does not sell the home, it will become vacant. Smith stated the plans are to operate another male facility. The 2016 E. Market Street facility would then be a woman’s facility. Sixteen beds, with a parking lot behind the residence, was planned. “The men’s facility has been full for the past two years,” stated Smith, adding there are 40 individuals on the waiting list. Huffer, retired judge, noted the service is needed and Smith operates a “tight ship.” “My fear is some slum lord will buy it and it will go to … in a hand basket.” He also asked the board how the first location on Fort Wayne Street met the criteria when this one did not. A change in the classification, from group home to boarding house, is why the request was being made. No board member was against Serenity House’s program, but they listened to those in the neighborhood. Board members Ron Shoemaker, Tammy Dalton and Jack Wilhite, referred to problems with density, parkspace over greenspace, and neighborhood objections were leading them to deny the request.